SpaceX Unveils Dragon V2 Spaceship, a Manned Space Craft for 7 Astronauts - Petar Petkov talks about "Sustainable World & Occupy Mars"
Elon Musk, the billionaire entrepreneur behind the private spaceflight company SpaceX, unveiled his firm’s latest innovation — the Dragon V2 manned spaceship —Thursday night (May 29) in a stylish debut for the 21st-century space taxi for astronauts. 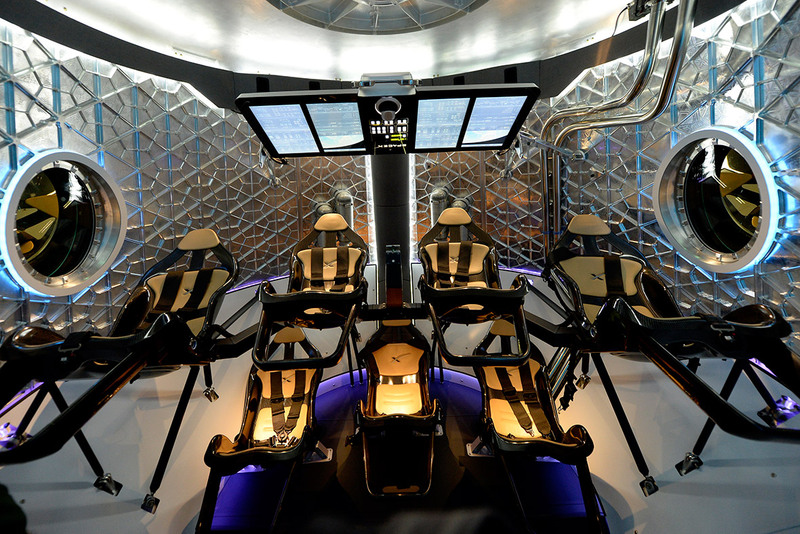 SpaceX’s Dragon Version 2 crewed spacecraft has a sleek interior design, complete with a large tablet-like computer that swivels down in front of the capsule’s tan leather seats. The manned space capsule can ferrying up to seven astronauts to and from destinations like the International Space Station, Musk said during the reveal, which SpaceX webcast live online from its headquarters in Hawthorne, California. SpaceX has been launching unmanned Dragon Version 1 capsules to the space station since 2012 using its Falcon 9 rockets. The company has flown three of 12 cargo missions to the station for NASA under a $1.6 billion deal. The Dragon V2 is SpaceX’s entry to fly NASA astronauts to the station as part of the U.S. space agency’s commercial crew program. SpaceX’s new spacecraft is designed to be reusable and it should be able to touchdown back on land with the accuracy of a helicopter, Musk added. “That is how a 21st-century spaceship should land,” he said. Unlike the unmanned version of the Dragon, which uses the station’s robotic arm to berth to the orbiting outpost, Version 2 will be able to autonomously dock to the space station. A pilot will also be able to park the spacecraft using manual controls if needed, Musk said. Dragon V2 also is a demonstration in new technologies. SpaceX engineers have updated the capsule’s heat shield and the new spaceship is outfitted with SuperDraco thrusters that can be used to move the capsule and astronauts to a safe distance if something goes wrong during launch. The SuperDraco thrusters should also aid in landings, slowing the spacecraft down as it gets closer to the ground. Musk founded SpaceX in 2002 with the intention of lowering the cost of spaceflight with affordable, reusable technologies. Dragon Version 2 can be rapidly reusable, according to Musk.